Spring is a good time to buy plants to fill up spaces in your ornamental borders to be sure of a wonderful display in the summer. But before you can plant, you need to buy and there are few things that a gardener likes more than the chance to acquire more plants. For herbaceous plants remember that you are really buying the roots and crown not the top growth. Most herbaceous plants are not evergreen and will have been cut down in autumn so you may appear to be buying a pot of compost. Even in this case you should see new shoots emerging or nestled low down on the compost surface. It is always worth turning the pot over to look at the bottom. Plants with big roots pushing out through the drainage holes are pot-bound and are likely to be left over from the previous year. Plants can, of course, be kept by the nursery for several years to offer larger plants but they should be potted on to allow room foe the root to grow. Ideally you should see the white ends of a few roots just reaching the edge of the compost if you gently slide the pot halfway down. With trees and shrubs, strong well-shaped top growth is important because you do not want to cut it back and start again. You are paying for several years of growth that should have created a good framework for your plant. Look for an attractive balanced shape with no crossing stems. The leaves should be the right colour (not always green!) and show no signs of damage or disease. If you are buying deciduous plants in winter then you will usually be able to see good healthy buds along the stem. The same guidance for the roots applies as for herbaceous plants. In general, when you buy plants, avoid any that are obviously under stress, where the pot is very light – indicating lack of water – and where the surface of the compost is covered with weeds. 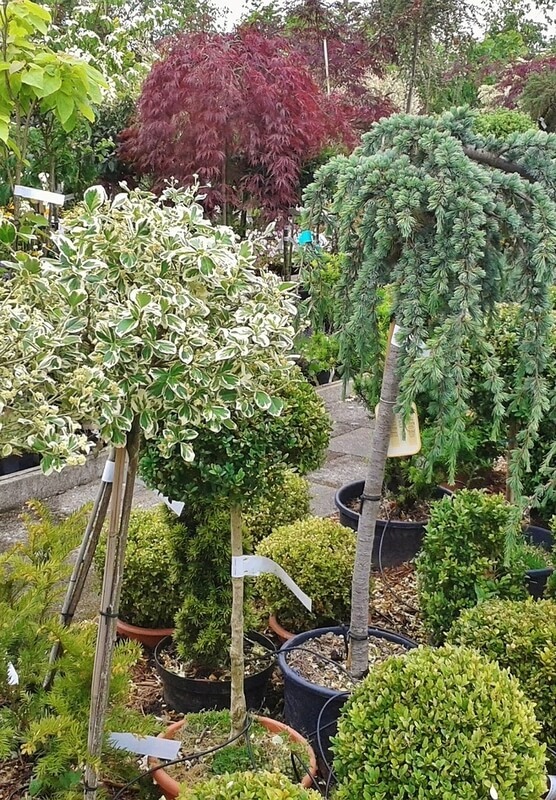 You want the nursery or garden centre to care for the plants you are going to buy and then they are likely to thrive. Sign up to my newsletter for regular updates on blog posts along with seasonal hints and video tips.